Imminent Danger in Southboro, Ma: Workers exposed to serious injury or death from fall hazards. 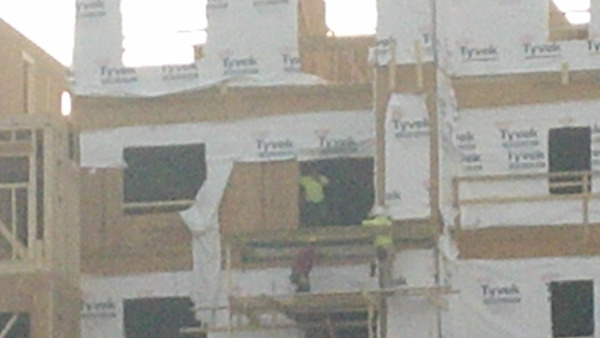 A contractor who was trained in our fall protection class sent me these pictures yesterday showing workers exposed to fall hazards while working on a condominium project in Southboro, Ma. These men are exposed to an imminent danger condition. They are not tied off with harnesses and there are no guard rails. The planks look like framiing lumber not scaffold grade.